We've seen a lot of announcements lately about upcoming Dolby Atmos-enabled AV receivers. Now Onkyo has announced its first Dolby Atmos home-theater-in-a-box and Atmos-ready speakers (amongst other new product announcements). These lower-priced options may be perfect for those who are intrigued by the idea of switching to an Atmos system but wary of the additional setup required. 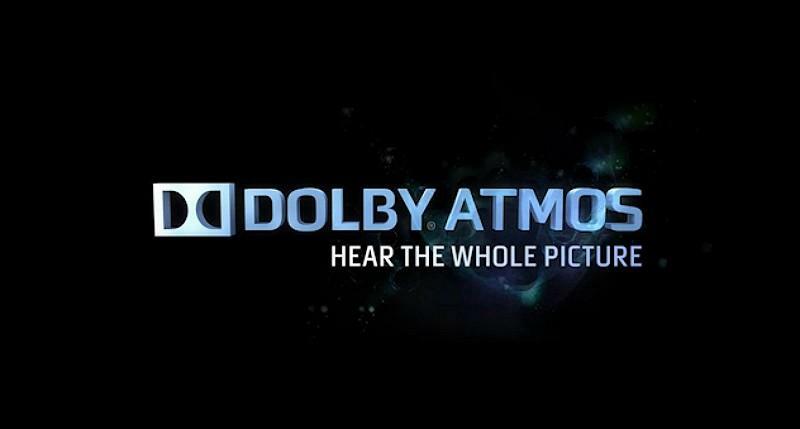 Dolby Atmos--a multidimensional audio format developed for commercial cinemas and now available for the first time in home theaters--places and moves specific sounds anywhere in the room, including overhead. Content creators mix in a 3D space with object-oriented overhead sounds (such as aircraft, rain, or birdcalls) passing through pairs of in-ceiling speakers or Dolby Atmos-enabled height speakers. With its Dolby Atmos-enabled front/height speakers, the HT-S7700 is the most convenient and affordable way to enjoy Dolby Atmos sound at home. This factory-balanced 5.1.2-channel HTiB system is powered by a Wi-Fi®- and Bluetooth-ready 7.2-channel network A/V receiver featuring HDMI® 2.0 terminals for 4K/60 Hz video and HDCP 2.2 for 4K video streaming and broadcasting. It supports high-resolution network audio, internet radio and music streaming, and can upscale low-resolution video to 4K with Qdeo™ processing technology. The receiver has two HDMI 2.0 outputs, a phono input for turntable connection, and Powered Zone 2 capability for distributed multiroom audio. Owners re-powering an existing home theater speaker system with a compatible 2014-model Onkyo A/V receiver can unlock the full Dolby Atmos experience by connecting two of the company's new SKH-410 speakers to the receiver's height channels. The compact sealed cabinets contain a full-range up-firing cone speaker and special Dolby Atmos-certified network to create a plane of sound above the listener. Placed on larger floorstanding speakers or mounted on the wall, the SKH-410s offer a convenient and cost-effective way to unleash the power of Dolby Atmos in home theaters where in-ceiling speakers are impractical. First-time home theater buyers--or those looking to create cost-effective surround-sound system in a second zone--are ideally served by the convenient HT-S3700 HTiB package. Both have everything needed for an exhilarating entertainment experience, with six-piece speaker packages driven by 4K/60 Hz-capable high-current A/V receivers complete with seven HDMI 2.0 terminals. Core technology that established Onkyo as an iconic global audio brand is at the heart of these three A/V receivers. Built around a High Current Power Supply (H.C.P.S.) transformer, large capacitors, and discrete output transistors, the company's high-current WRAT system maintains precise control of the speaker drivers for clear and accurate sound. Combined with 192 kHz/24-bit D/A conversion, WRAT reproduces DTS-HD Master Audio™ and Dolby® TrueHD soundtracks with vibrant clarity. All three systems include Onkyo's exclusive PM Bass, which is designed to counter phase shifting for improved mid-range clarity, along with a selection of listening modes bring out the soul in any recording. The included A/V receivers launch with InstaPrevue™ technology, which overlays picture-in-picture thumbnails showing what's playing on devices connected via HDMI. Combined with an intuitive overlaid GUI to allow quick adjustments without interruption to the program, these products are remarkably easy to use. Other features come in the form of a Zone 2 line-level output to distribute audio to a second room, and Onkyo's Hybrid Standby function, which enables HDMI passthrough and excellent efficiency when the receiver is powered down. The TX-SR333 provides authentic hi-res surround-sound to movie lovers on a budget with powerful and controlled WRAT high-current architecture for clear and detailed sound, six HDMI 2.0 inputs, built-in Bluetooth, and InstaPrevue™ technology. Other welcome features include HDMI passthrough on Hybrid Standby and high-resolution audio via USB. More than an affordable video-switching amp for an existing 5.1-channel speaker system, the TX-SR333 elevates audio quality to levels seldom heard at this price. Shipping to dealers in July, the TX-SR333 and HT-S3700 will carry MSRP's of $299 and $499. The HT-S5700 will be available in August at an MSRP of $699 while the SKH-410 and HT-S7700 will ship in September with a MSRP's of $249 and $899 respectively.